Subscribe to Kiwi Gardener magazine for 6 months and receive a Free $25 voucher for 'The Company Shed', an online gardening store! 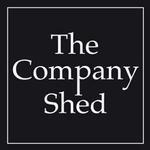 The Company Shed specializes in a unique range of garden products and gifts sourced directly from the UK and here in New Zealand, which appeal to all gardeners young and old, no matter how large or small your garden may be. Offer expires 16.05.2019 or while stocks last. Free Gift applies to 6 month subscriptions only. Available to NZ residents only. Physical Voucher is sent to the recipient. Kiwi Gardener is the magazine for gardeners who like to get their hands dirty. Originally Weekend Gardener, today’s magazine offers the advice that enables Kiwi gardeners to get the most out of their plants, throughout the seasons. Kiwi Gardener is a timely resource for all gardeners. Features on growing plants (natives, flowers, trees) and edibles (vegetables, fruit, nuts, herbs) are presented as guides to all that can be added to the garden that month. Inspiring feature gardens, community gardens and articles on everyday Kiwi gardeners show us how it’s done. I brought this for my Nanna who loves gardening, she enjoys reading this every fortnight, and its delivered right to her door! A great do-it-yourself gardening magazine for anyone who loves gardening. Help Tips and advice that help me every fortnight! Great Magazine. Easy to read with great tips and tricks for any gardening level.